The distant mountains rise higher and darker, surrounding us: shadowed blue-green masses capped with white snow. On the surface Emma Chapman’s debut novel is a cool, controlled, and compact account of the apparent psychosis of Marta Bjornstad in a nameless Scandinavian town as her husband and son look on in increasing despair. Yet beneath this is a deeply intelligent consideration of the destabilising effects on identity and the experience of time caused by the absence of a framework of memory. Marta’s narration relates a scraped out experience related by Chapman’s chillingly direct and economical language which always points beyond itself and the starved atmosphere of her character’s mind. An unstocked mind in which things reverberate: sounds, images, memories, desires. These oscillations colour everything. Shapes rise and fall in the wan twilight of a Scandinavian Autumn, the rays of the Sun playing on the surface and, although attenuated, penetrating the depths. From those depths rise visions or memories of a blonde girl in dirty pyjamas, a forgotten grace of movement, a prison. Each one confuses or casts doubt on the life Marta has led, cleaning, cooking, and caring for her husband Hector and son Kylan. The accepted narrative of their meeting and marriage is that Hector saved Marta from drowning and nursed her back to health after her parents died. And yet, as she once again stops taking her medication, the sunlit uplands of an apparently blissful marriage begin to fracture. Now it’s as if I can see shadows for the first time. Marta’s experience of time is episodic because she lacks the kind of structure required to secure its continuity. Hence, her narration and experience is insistently present tense, which is why knowing the time is so important to her: it’s the only structure she has. The only structure, that is, apart from the book given to her on her wedding day by Hector’s overbearing mother – How to be a Good Wife – which contains such commands as ‘Never hurry or nag him along. His time is precious, and must be treated as such’; ‘Always wait for him before you begin eating: he should always come first’; and ‘Never question his authority, for he always does what is best for the family, and has your interests at heart.’ This guide and framework simultaneously secures Marta in a stale home and erodes any sense of agency and selfhood she might have possessed or developed. The question the reader must ask is whether it is in reaction to this diminished selfhood that Marta’s developing assertiveness arises. And there it is again, that strange echoing fear, slipping through the cracks that have formed in the memory. It’s easy to look at a photograph, and to tell yourself things happened in a certain way, that you were happy. Easy to talk about until it seems that it really happened that way. But as I looked out through that gauzy veil, the petals of my bouquet quivering in my hands, as I made those steps towards Hector standing at the altar without my father’s arm to support me, I remember being frightened, not excited. This passage might stand for the whole novel in apparent simplicity and uneasy allusion: that gauzy veil a symbol of Marta’s desaturated experience, a filter on her perception, her understanding and memory. Her marriage has framed and constrained her entire being, completely externalising her identity such that it is dangerously dependent on feminine roles: wife, mother, housekeeper, cook. Are her insidious doubts a reaction to this constrained and hollow existence? Marta tries to lift her veil, which immediately speaks to Shelley’s sonnet and to the collapsing marriage of Maugham’s novel. Their shadows, o’er the chasm, sightless and drear. What lurks behind the veil, the story of her marriage, and that phantom girl, whose image seems to efface Marta’s each time she washes or gazes into the mirror? Reflecting surfaces herald the loss of one self and the glimpsing of another. Mirrors lack depth and yet mimic it. Waters can be deep and yet hide their extent. Marta’s certainties drain away with the bath water. Where is her father? Why was she so afraid on her wedding day? Perhaps most compelling: Is this veil her medication, forced upon her by Hector? Or is she actually ill? Or both? Of course, that very suspicion of Hector’s story should alert the reader to doubt Marta’s voice as keenly as she does her husband’s. Fear and hope begin to bleed into one another as her behaviour becomes increasingly erratic. What if I wasn’t myself before? Chapman probes how we treat individuals diagnosed with mental illness. There is an implicit challenge here to the view that a mental disorder should entail a corrosive departure from oneself; a challenge to the narrative of unreliability and the distrust of memories of potentially significant trauma. In many ways I prefer this book to Sebastian Faulk’s Engleby which shifts the ground very sharply beneath the reader’s feet toward the end. In its apparent simplicity How to be a Good Wife contains multitudes. It is not devastating and its development was far from a surprise, but I don’t think that is the point of this book at all. Chapman has done something far more interesting than just write a competent thriller: the landscape of the novel and Marta’s mind is submerged, but an emergence from those depths, an ascent to the mountain peaks that shelter the fjord, is not straightforwardly liberating, as the ambiguous relationship with water throughout attests. Her compact and allusive resistance to reduction and the complex archaeology of memory and despair make Emma Chapman’s debut novel very impressive indeed. For some time, I have watched a magpie, working at the frozen earth. 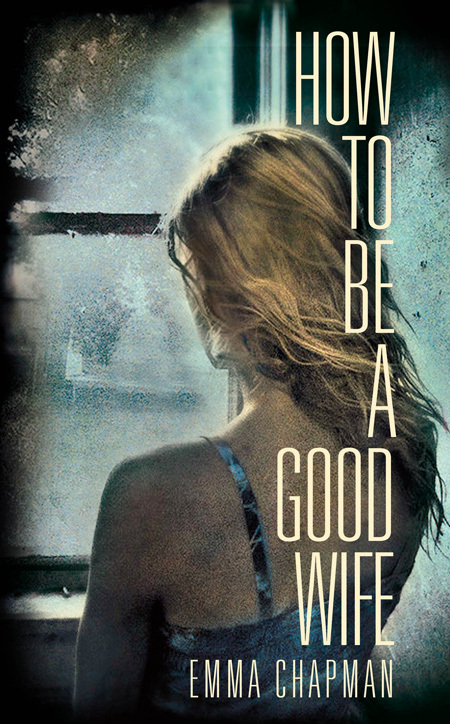 How to be a Good Wife is published in paperback on 24th April by Picador. My thanks to Picador for this review copy.